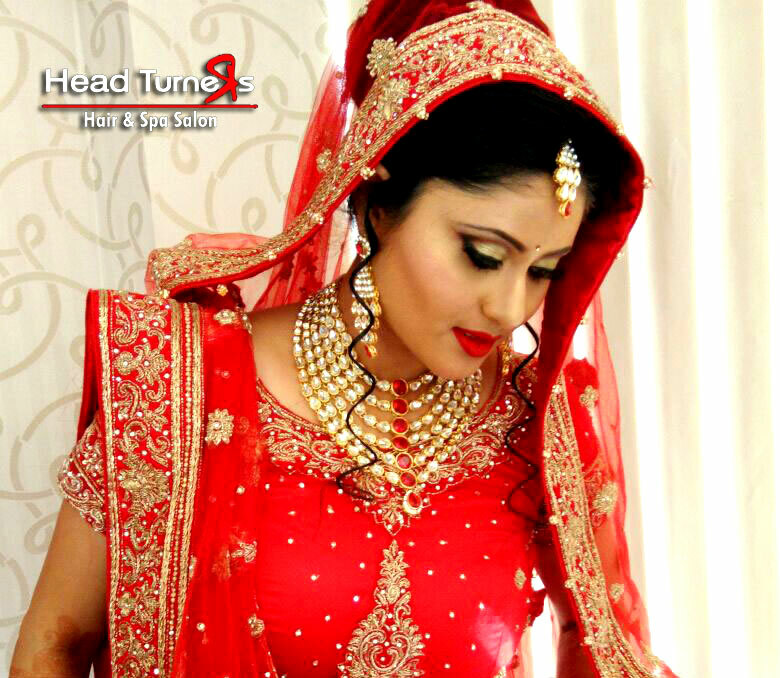 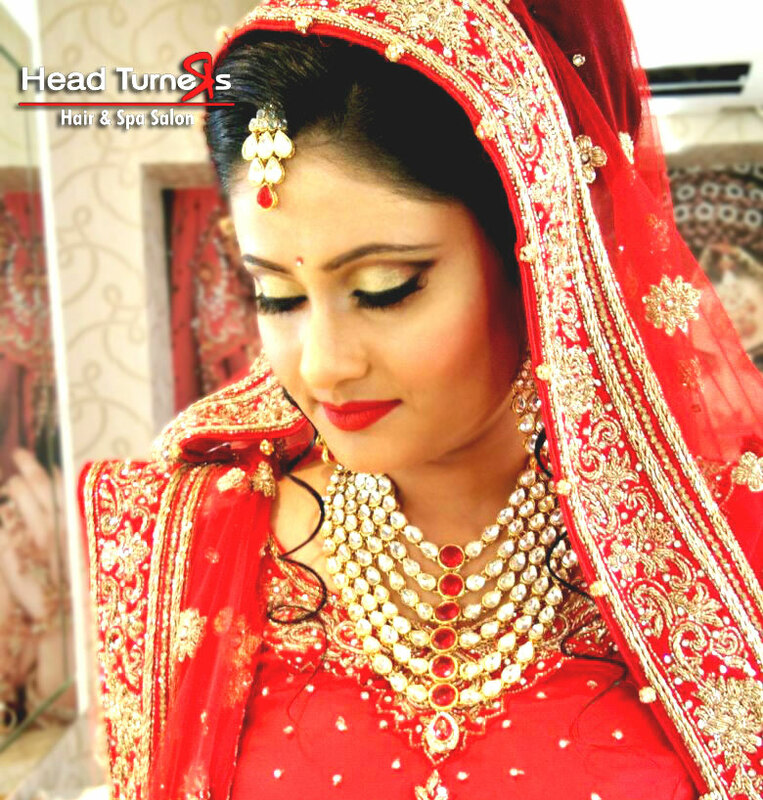 Wedding is that event in one's life, when the world seems colorful and filled with high hopes for the coming future. 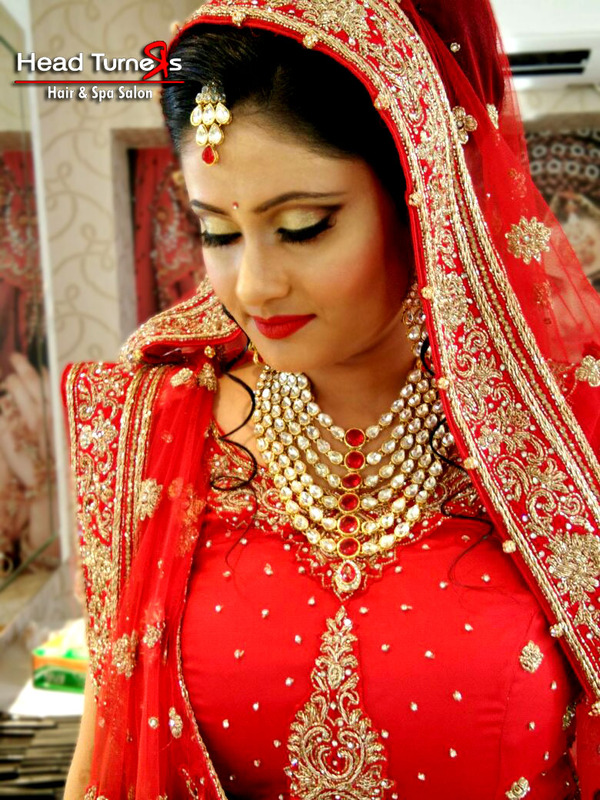 It is the stepping stone for a completely new life, which is a mystery and nobody knows what is in store for them. 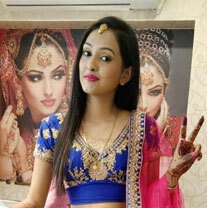 Nevertheless, everyone wants to begin this new journey on a good note, wishing for happiness and prosperity abound. 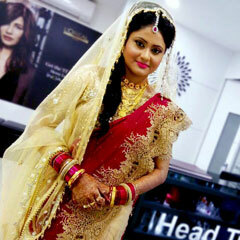 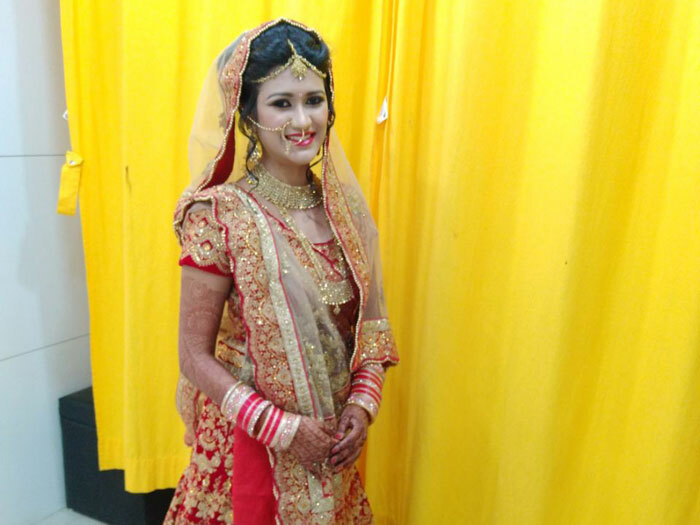 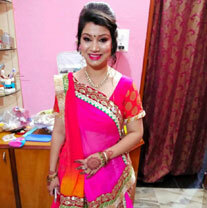 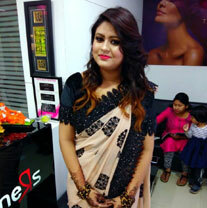 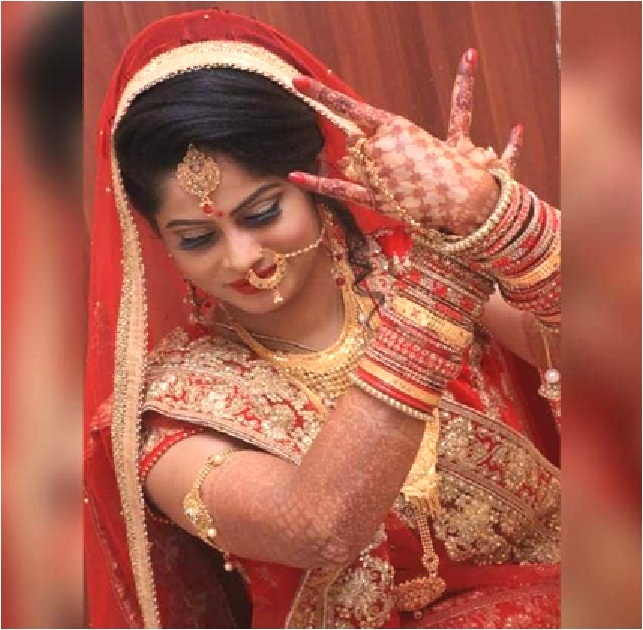 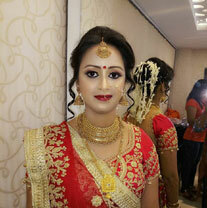 So, the bride celebrates this occasion by trying to look her best on this special day. 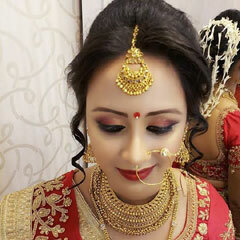 Apart from her clothes and jewelry, her look is also very important. 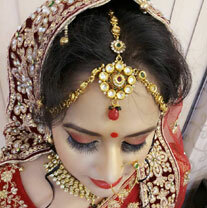 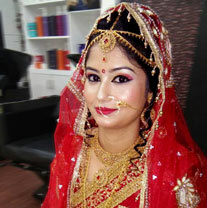 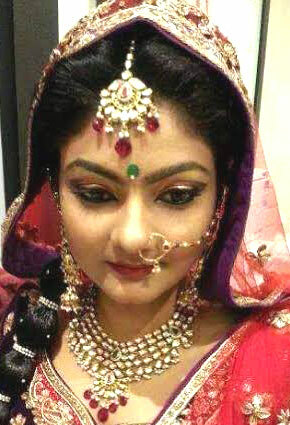 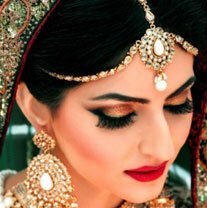 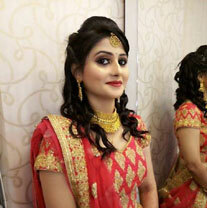 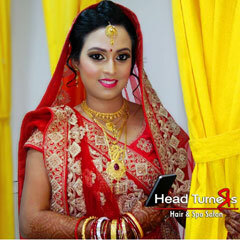 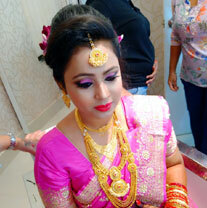 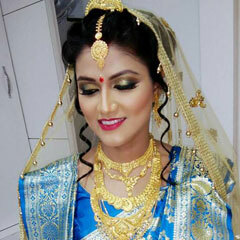 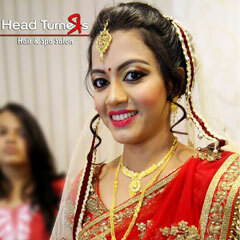 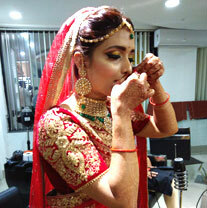 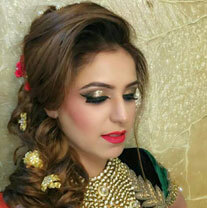 This is what the bridal make up takes care of. 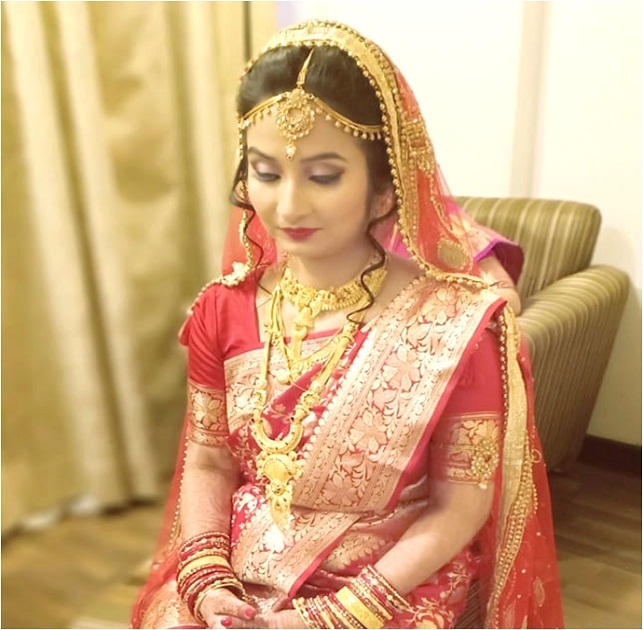 Every bride dreams of a wedding that goes just as planned. 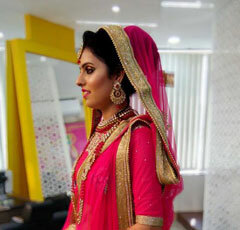 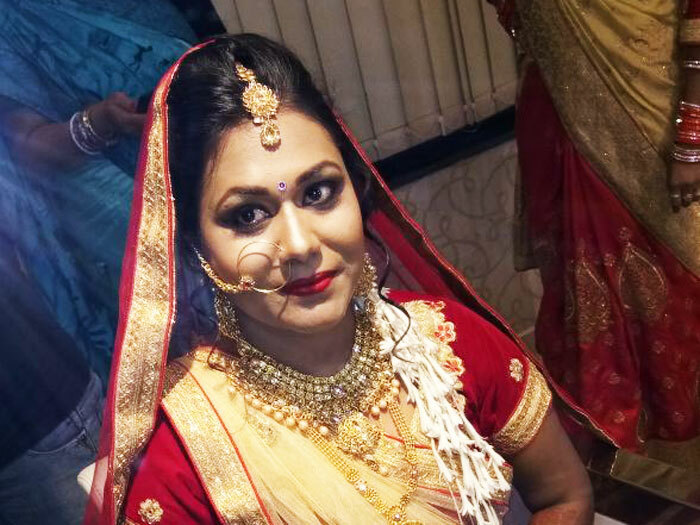 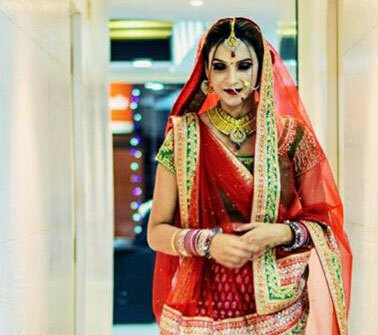 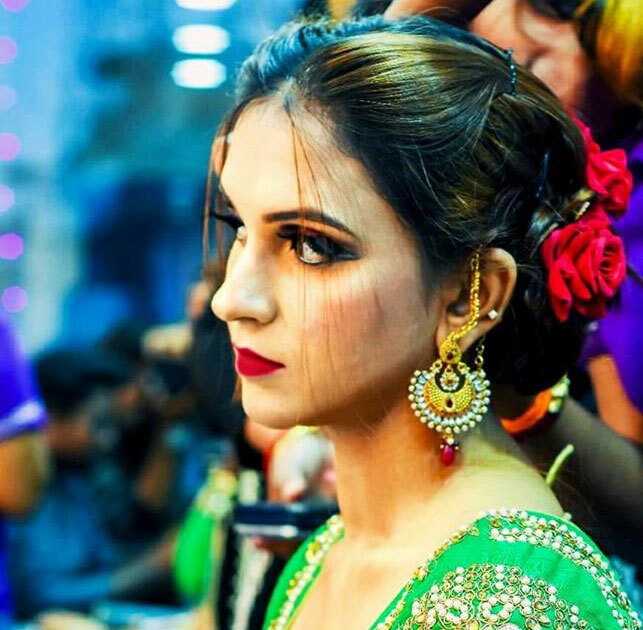 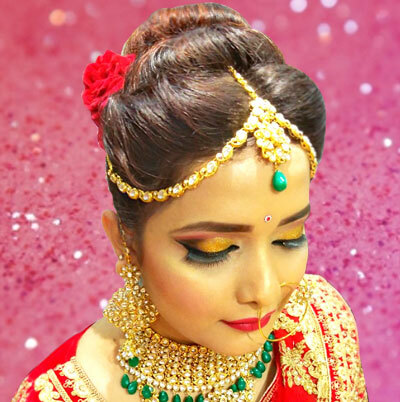 From catering to traditional Indian bridal makeup, there are a lot of factors that need to go right for this dream to come true. 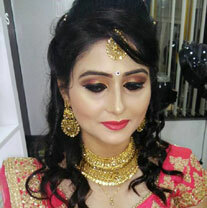 Makeup should be the least of your worries if planned well in advance. 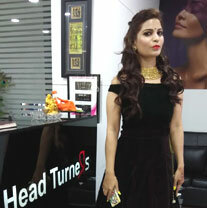 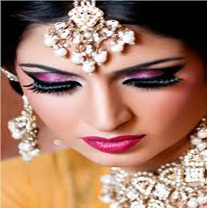 Once you are done choosing the right outfit for the day and the right kind of jewelry and accessories, focus on makeup. 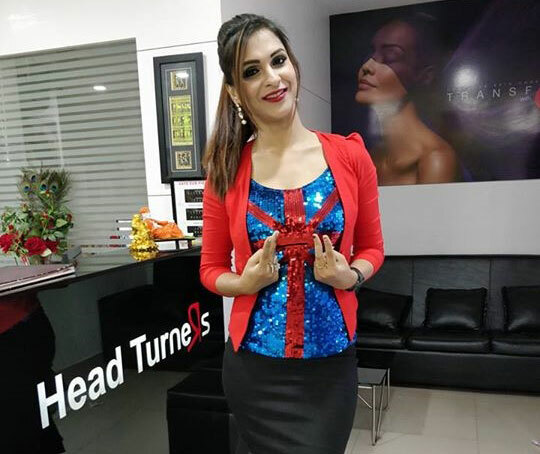 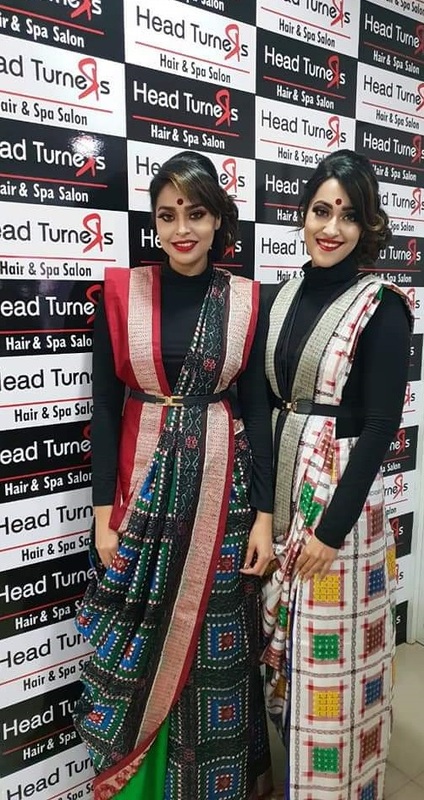 This can make or break your look. 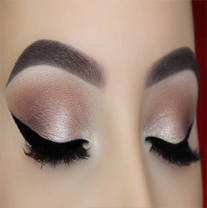 So, you need to choose your makeup look very carefully. 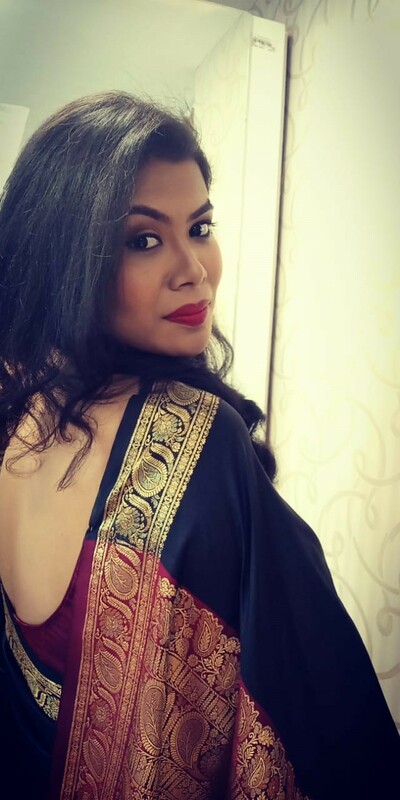 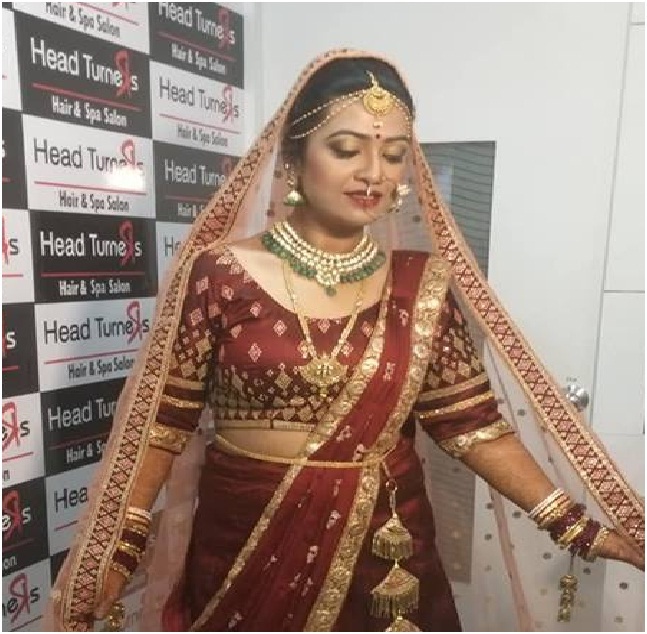 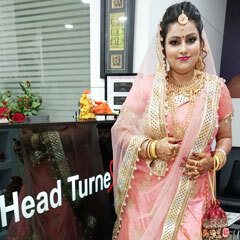 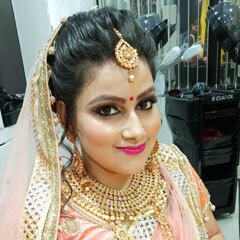 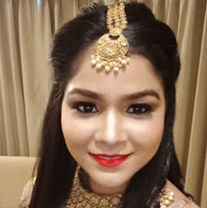 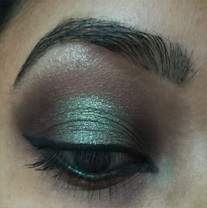 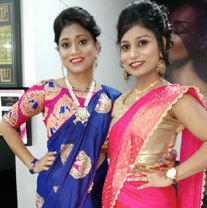 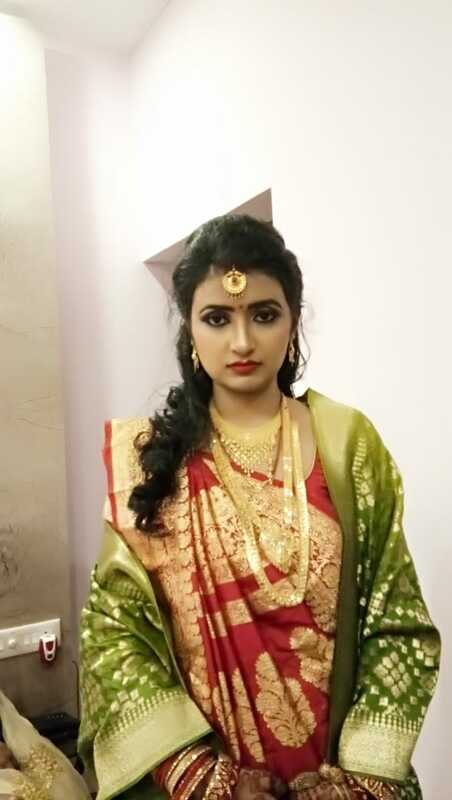 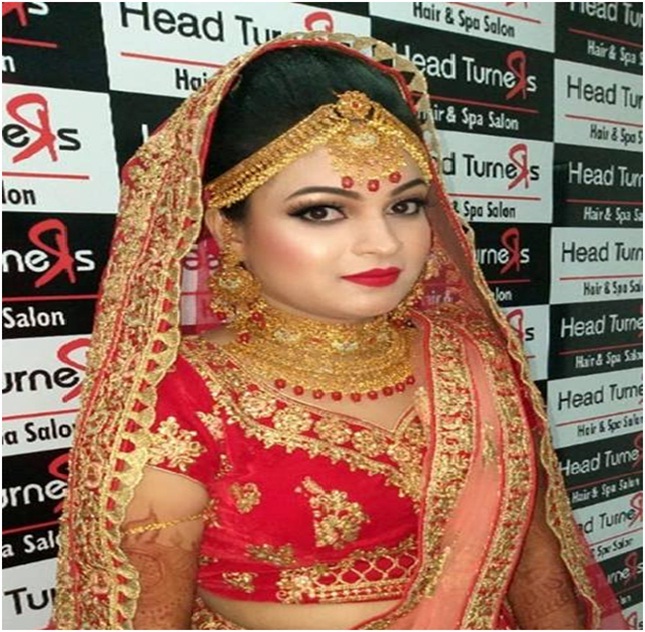 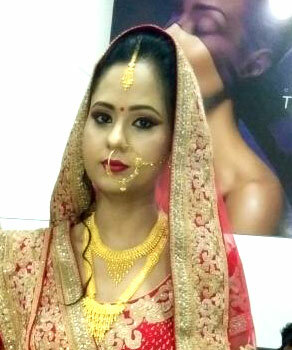 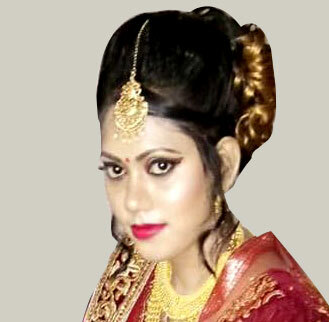 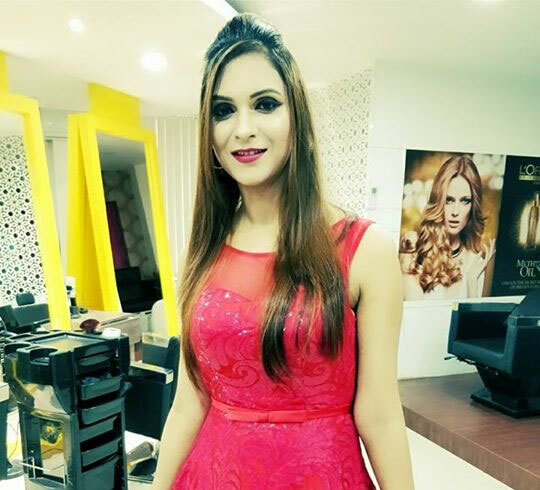 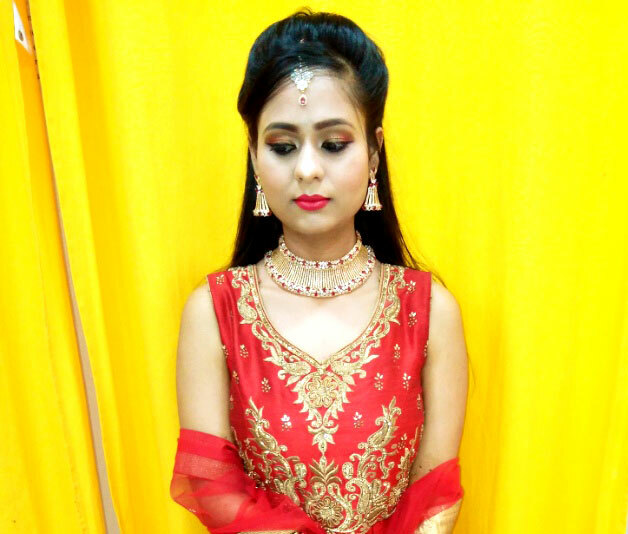 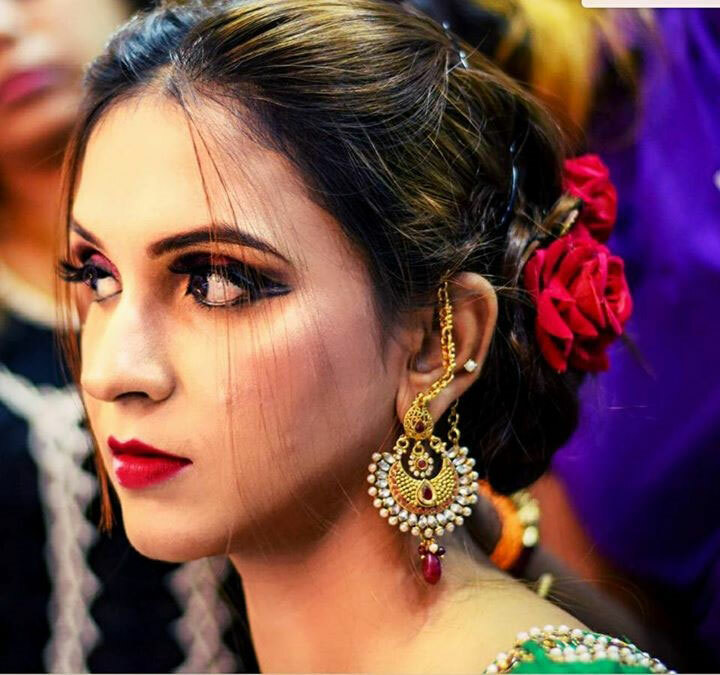 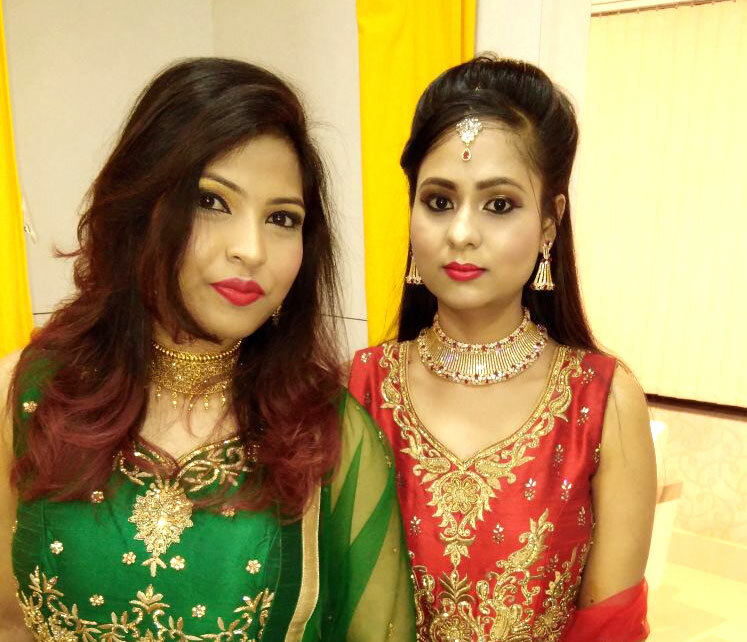 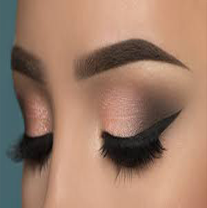 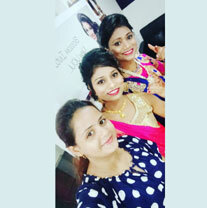 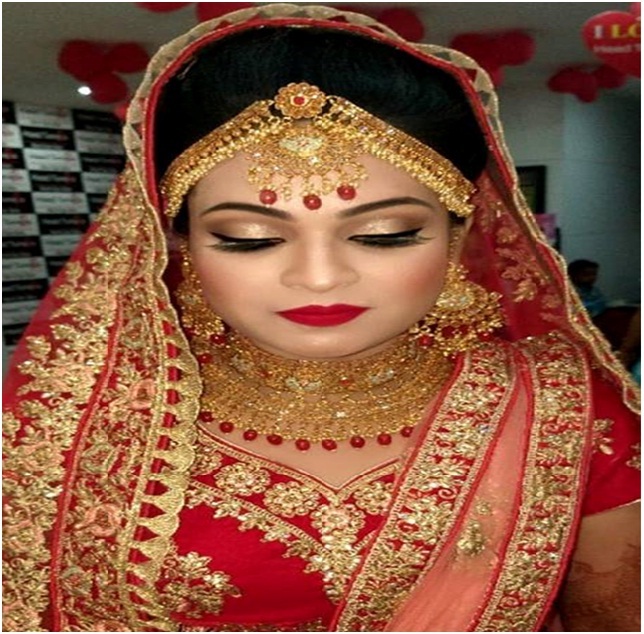 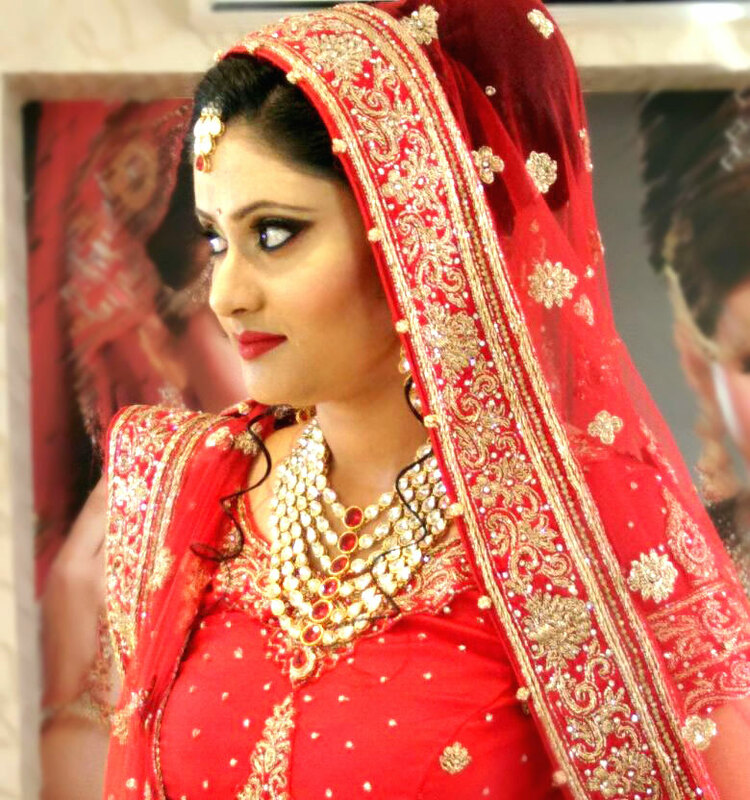 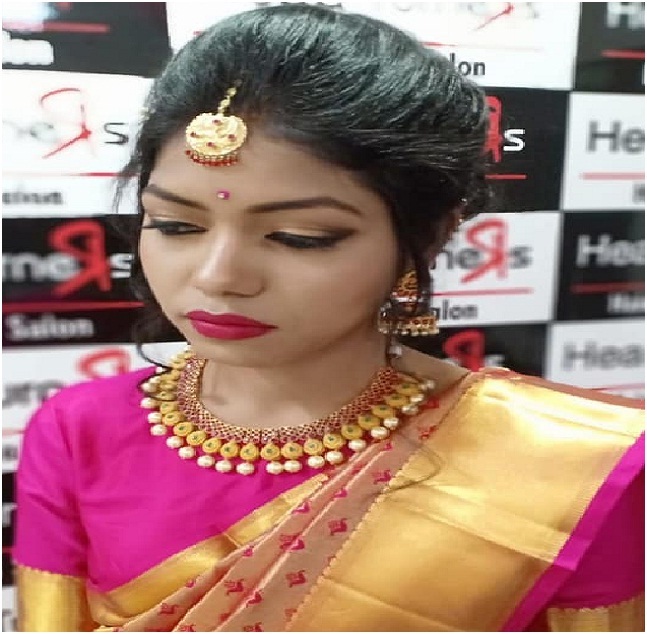 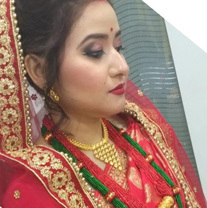 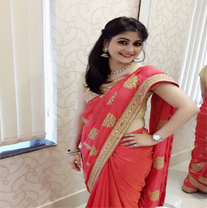 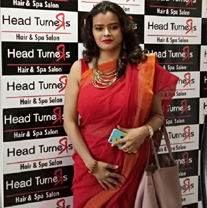 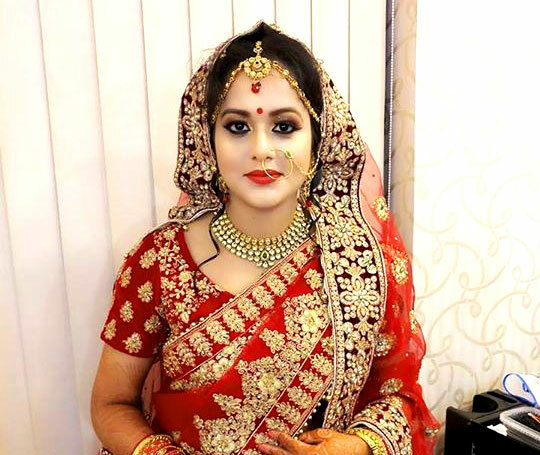 Whether you are a South Indian bride or a North Indian one, different types of makeup styles and bridal wear are trending at present, be it ultra gorgeous or simple yet beautiful. 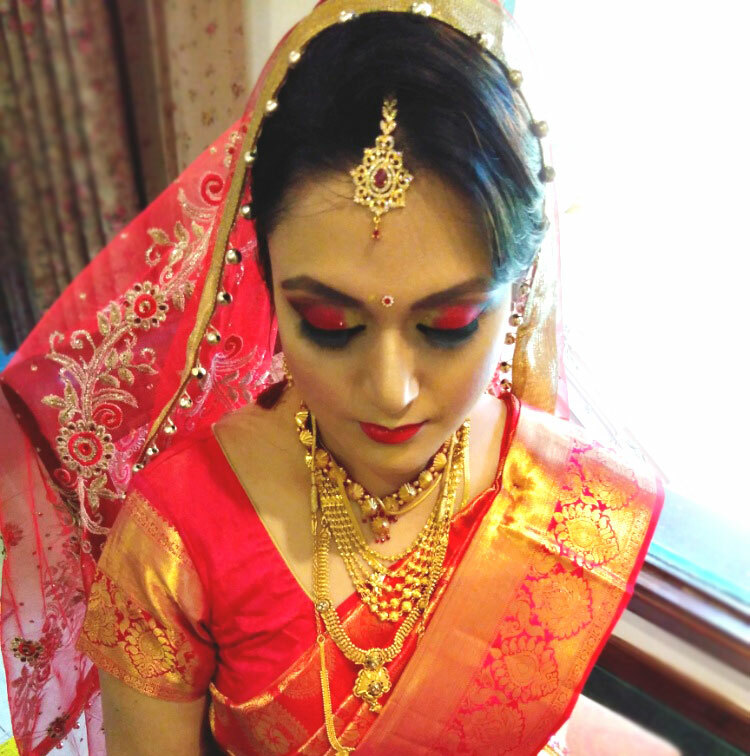 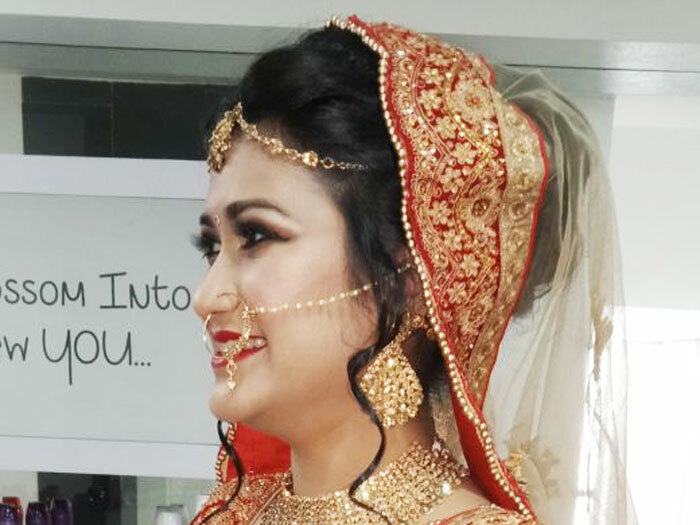 Our bridal packages range from a one day miracle package to a 3 month luxury package, which includes facials, body massage, under eye treatment, skin lightening procedures and much more. 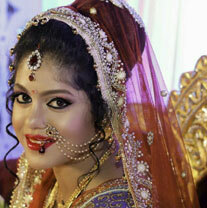 We also offer wedding packages for grooms.